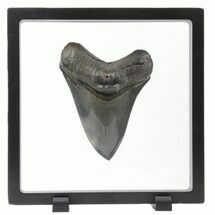 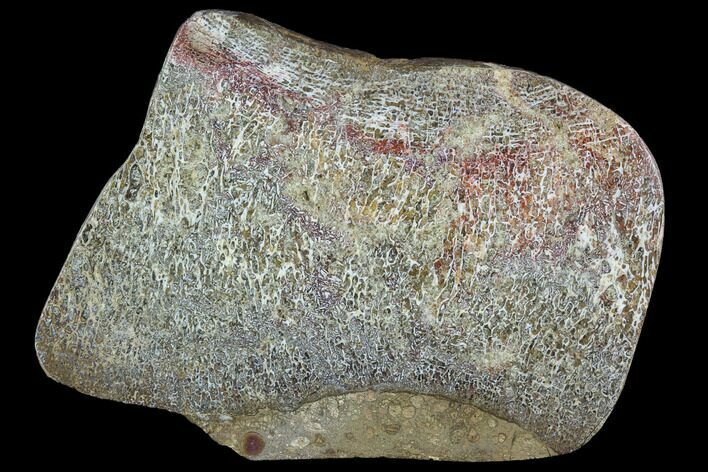 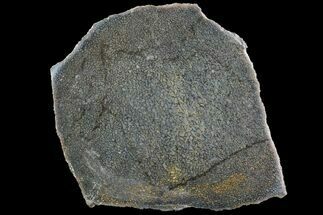 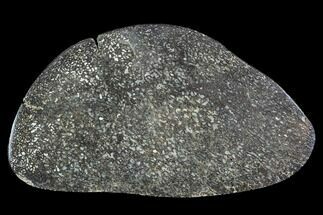 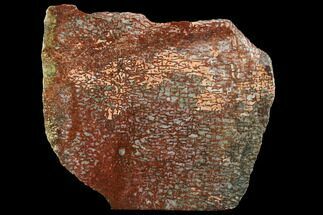 This 4.2" wide is a slab of polished, Iguanodon bone showing stunning internal cell structure. 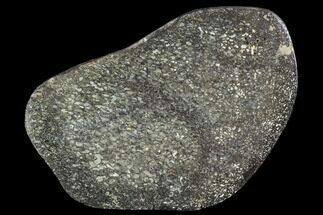 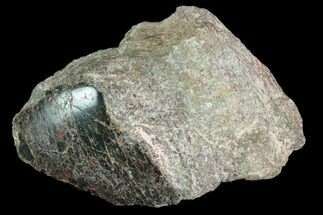 It was collected from the Lower Cretaceous, Wealden Clay Formation on the Isle of Wight. 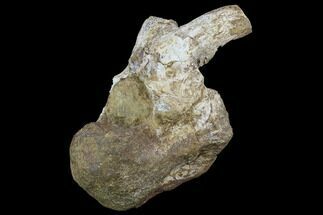 While complete or near complete bones are rare, water tumbled chunks are often found after they erode out of the cliffs on the isle.